Wondering where to go to snag the best vacation deals this fall? HotelChatter recommends Parrot Cay’s three for two deal over Labor Day weekend and we’re adding a few more great deals into the pot for fall vacations in Nantucket, London, New York, Miami, and Mexico. 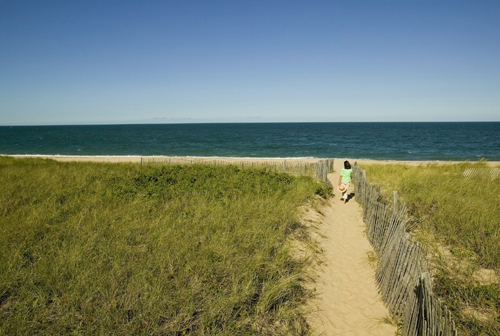 Nantucket: As the days get shorter, New England gets more delightful; the water is the warmest it’s been all summer, reservations at restaurants are easier to come by, and the crowds have returned to the city. DEAL: Stay at the Wauwinet for $395/night on September 11, 19, 25-26, and for $475 on October 1, 4-6, and 8-11. Or stay at the White Elephant for $575/night on September 8, 15-16, 20-23, $425/night on Sept 28-30, and $450/night on October 1, 4-8, 11-16, 18-19, 22-31. Details here. London: Interested in visiting “Old” England? 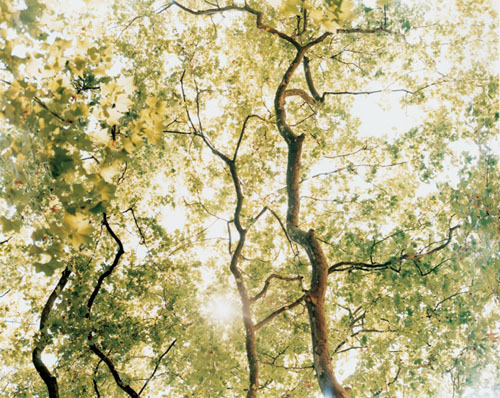 The Metropolitan and the Halkin in London are great spots to stay when checking out Hyde Park’s fall foliage. DEAL: Book seven days in advance and receive Ultimate Savings at the Metropolitan with rates starting at £199, and at the Halkin rates from £229. That’s almost £200 off of normal rack rates. Valid through December 31, 2009, Sun-Thurs. 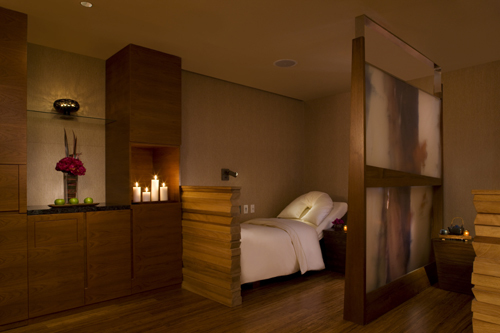 New York: Stay in the city and day-visit the Peninsula Spa by ESPA. DEAL: Purchase one spa treatment and get 50% off the second, or bring a friend and share the savings. Valid Mon-Wed until September 9. Details here, or call (212) 903 3910. Miami: Sure, Miami is hot, but the ice fountain at ESPA at Acqualina, Miami is ice-cold. DEAL: Acqualina has a three for two deal now through October 31st, 2009. Rates start at $375/night. 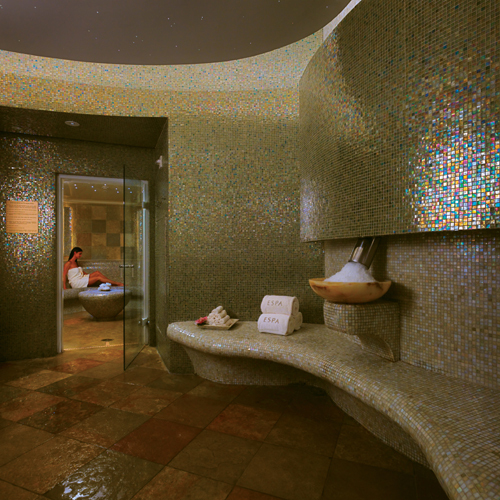 Huge bonus: guests receive $40 spa credit for each night booked. ESPA at Acqualina is also offering a day pass to the spa for just $55, which includes a 20-minute boutique treatment of choice. DEAL: The Rosewood Escapes package at the resort offers rates starting at $395 a night, a $200 resort credit per stay, and upgrades upon arrival. Now through Sept 30, 2009. Details here. ***Need help fleshing out fall travel plans? Contact our favorite travel agent, Ellie Colin of Ovation Travels at 1-800 431 1112, or email info@ovationtravel.com. A man and his skincare routine. Some men are as meticulous as a department store beauty counter sales woman. Others just depend on Dial and Barbasol Beard Buster to get fresh-faced. Either way, we’re out to educate the masses about a little anti-aging tip, compliments of ESPA’s team of skincare experts*. Every time a man uses a razor on his face, he is doing a double-duty step in skincare. Shaving takes off both the stubble and dead skin cells, providing instant exfoliation. Educated beauty mavens know that shedding dead skin promotes cell turnover, helping prevent wrinkles. Men exfoliate the lower half of their faces each time they shave, but what about the rest of his mug? All it takes is a quick scrub above the shaven territory to ensure uniform wrinkle diversion. 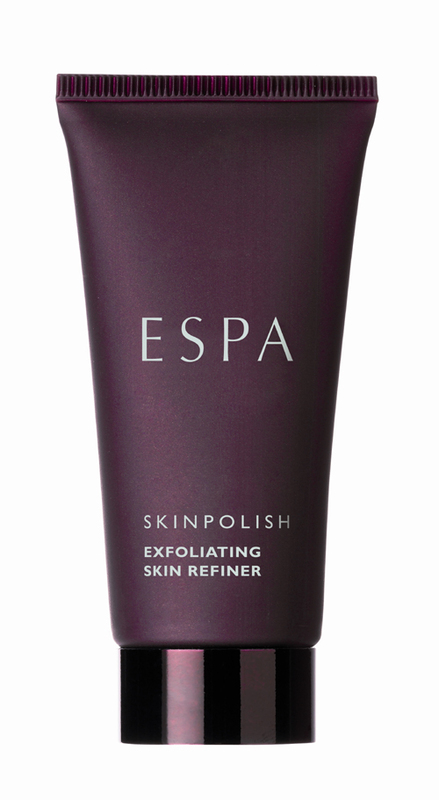 Our top pick is ESPA Men’s SkinPolish, made specifically for skin that is 30% thicker than women’s. It is rich in natural ingredients and lightly scented with the essential oil of Highland Scots Pine, a tall evergreen that can grow over 100 feet high and is sometimes used to help support the immune system. Shop for SkinPolish ($42.00) and other ESPA products at www.espaonline.com or at ESPA spas worldwide including: The Peninsula Spa by ESPA, New York; The Peninsula Spa by ESPA, Chicago; and ESPA at Acqualina in Miami. *Susan Harmsworth, founder and CEO of ESPA, is an international authority on skincare, wellness, and how to build a successful luxury spa; she has created over 150 spas since 1993 (and counting…). Her legions of top-notch therapists, seasoned spa gurus, and in-house scientists afford ESPA the data, facts, and knowledge to poise themselves as leading experts in all facets of wellbeing. More men visit ESPA spas as opposed to their competitors, supplying ESPA with an incomparable dossier on men’s skincare (by the way, men’s #1 skincare concern is the eye area). Whether you’d like to know more about men’s skincare, shoot the breeze on aromatherapy, or talk cold hard facts on the luxury spa industry, feel free to drop us a line and we’ll arrange a call with ESPA’s finest. Executive chef, Jean-François Rouquette, of Park Hyatt Paris-Vendôme‘s Michelin-starred Pur’ restaurant, has invited six internationally celebrated chefs to join him for the first Paris-based Park Hyatt Masters of Food and Wine event, from September 21-25, 2009. Highlights include Jean Sulpice, executive chef of L’Oxalys, a one-Michelin- star restaurant in Val Thorens, France, and the up-and-coming Benjamin Toursel of L’Auberge du Prieuré in Moirax, France. For more than twenty years, Park Hyatt has hosted an annual food and wine festival to showcase its serious dedication to its F&B program. For the past three years, Masters of Food and Wine was hosted by the Park Hyatt properties in Buenos Aires and Mendoza, and focused on South American cuisine, with a heavy emphasis on the ever-expanding Argentinean wine world. This September a spin-off of the Masters festival kicks off in Paris with a VIP cocktail party at the hotel where guests will have the opportunity to meet the participating chefs, followed by a series of exclusive dinners orchestrated by Rouquette and his guest chefs over the next four nights. In addition to the dinners, the hotel will offer a special cultural program, Discovery of Paris, which includes cocktail classes taught by the Park Hyatt barman Yann Daniel, a journey to Billecart-Salmon Champagne house, and a tour of the Boucheron factory. Le Pur’, Le Bar, and La Terrasse at Park Hyatt Paris-Vendôme will serve as the backdrop for the events each evening. A menu will be created each night by two of the chefs, and served at Le Pur’, for 150 Euros per person. The chefs will also offer an exclusive nightly tapas selection at Le Bar and La Terrasse. Calls: Istanbul (overnight) and Kuşadasi, Turkey; Patmos, Athens, Monemvasia, Santorini, and Corfu, Greece; Dubrovnik, Croatia. 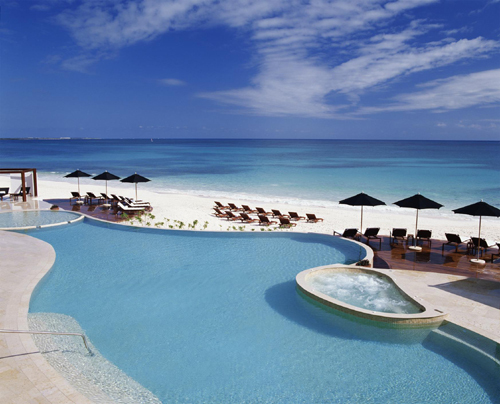 Fares: begin at $5,075 per person, double occupancy, and include a $1,000 per person As You Wish spending credit. Emerging Artists Theme: Performances by talented young artists from the Music Center of Los Angeles Spotlight Awards program. Click here for details. Calls: Venice (overnight), Italy; Trogir, Croatia (maiden call); Corfu, Katakolon, Crete, Rhodes, and Mykonos, Greece; Kuşadasi, Turkey. Fares: begin at $4,700 per person, double occupancy, and include a $1,000 per person As You Wish spending credit. Chance & Fortune Theme: Lectures by gaming historian and director of the Center for Gaming Research at UNLV, Dr. David G. Schwartz. Click here for details. Calls: Santorini, Rhodes, and Corfu, Greece; Ashdod, Israel; Alexandria (overnight), Egypt; Dubrovnik, Croatia; Venice (overnight), Italy. Fares: begin at $4,940 per person, double occupancy, and include a $1,000 per person As You Wish spending credit. Ancient Civilizations Theme: Lectures on daily life in ancient Greece, Rome, and the Seven Wonders of the Ancient World by Diana Preston, award-winning author and historian. Click here for details. Calls: Venice (overnight), Italy; Dubrovnik, Croatia; Sicily, Naples, Rome, Florence, Italy; Monte Carlo, Monaco; Barcelona (overnight), Spain. Fares: begin at $4,515 per person, double occupancy, and include a $1,000 per person As You Wish spending credit. Fashion & Style Theme: Onboard fashion shows, fashion movies, documentaries, and one-on-one consultations from guest lecturers, Anna Wyckoff and Gayle Davis. Click here for details. Calls: Barcelona (overnight), Málaga, Cádiz, Arrecife, and Santa Cruz de Tenerife, Spain; Casablanca, Morocco; Madeira, Portugal. Fares: begin at $4,080 per person, double occupancy, and include a $1,000 per person As You Wish spending credit. Photography Theme: Lectures by Theresa Airey, photographer and author of how-to digital photography books, as well as fellow of the British Institute of Professional Photography (BIPP) and portrait photographer, Simon John. Click here for details. Calls in: Ponta Delgada, The Azores and Grand Turk, Turks & Caicos. Fares: begin at $3,165 per person, double occupancy, and include a $500 per person As You Wish spending credit. Ballroom Dancing Theme: Group instruction in ballroom dancing, dance competitions, and lectures by Janet Carlson, Town & Country Health and Beauty Director and author of Quick, Before the Music Stops: How Ballroom Dancing Saved My Life. Click here for more details. 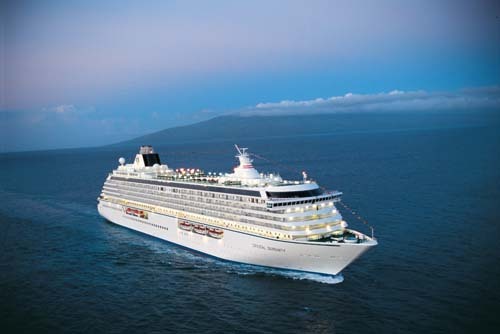 For more information on Crystal Cruises, please visit www.crystalcruises.com or call 888-799-4625. Rattling pipes, creaky floorboards, and strange noises in general – these can all be part of staying somewhere other than one’s own bed. However, here’s a collection of places where there’s an actual reason for the sounds – ghosts! Get into the Halloween spirit this October with a stay in or visit to some of these haunted hotels and houses. Boo! Check into Room 223 to bunk in with the ghost of a Whaling Captain (an experience you arguably can’t get at the nearby Whaling Museum!). Guests of Room 609 meanwhile have had nighttime visits from the apparition of a little girl. Other ghosts are known to roam the halls and rooms of the historic property in the heart of Nantucket town. Not a believer? Just ask the Innkeeper who has had a few “run-ins” with said spirits, including being pushed from behind while working the front desk – alone! Sharing a ‘snug,’ (an individual wooden booth) with ghosts is not exactly the idea when meeting friends for drinks. On Great Victoria Street in the center of Belfast, tales of the haunted saloon are quite common. The Crown Liquor Saloon acted as a haven for weary Great Northern Railway travelers centuries ago, and the old watering hole still plays host to Victorian-era haunts today. One visitor recalled sitting with three ghostly men and a woman in one of the famed booths while waiting for her friends to arrive for cocktails. “All Dogs Go to Heaven” may be the case for most; however, for one King Charles Spaniel, Ham House is his final resting place. The dog’s portrait hangs in the gallery, but a livelier version of the pooch can be “seen” meandering the halls. A recent investigation by the Ghost Club, a paranormal research organization based in London, concluded that there may be as many as fifteen ghouls (not to mention other ghostly dogs) dwelling in the property. The property kindly requests you leave your Fido at home. The flickering lights in the old post office didn’t deter the custodians from their daily duties. However, it did inspire the use of the antique Spagnolli receiver, a predecessor to morse code, to make sense of the flashing lights in the converted manor house. The flashes spelled out the word “Noah” repeatedly – eerily enough, the surname of a previous resident. “Oh, the lady signed for it… the lady in the Dining Room,” said two delivery men returning a painting to the estate home. The house administrator was supposedly the only person living in Blickling Hall at the time, so who could the ghost have been but that of Anne Boleyn, who called the property her childhood home. Following her inability to bear a male heir for Henry VIII, Anne was executed. Yet on the anniversary of her death each year, visitors can expect to see her ghost. The ‘Grey Lady,’ a nickname given to the apparition for her long grey dress with lace collar, has been spotted looking across the lake and riding up the drive in a coach drawn by a headless horseman. Major acne breakouts often hit at the worst time; think right before a graduation, wedding, holiday office party, or any event where cameras are flashing and albums are posted online before the night is over. 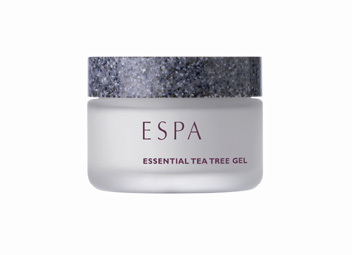 To avoid having to “untag” any images of blotchy skin and pestering pimples, use ESPA Essential Tea Tree Gel. This is not your mother’s stinging, bleaching, harmful acne treatment; instead, the gel soothes the skin while lightly moisturizing. An extra tip: as soon as you sense a breakout approaching, combine ESPA Essential Tea Tree Gel with ESPA Essential Mineral Mask and apply topically before bedtime for an intensive overnight treatment .